DroneDeploy is the leading provider of drone software for capturing and sharing aerial images, maps, point clouds, 3D models, and accurate jobsite measurements. With DroneDeploy, bring professional-grade imagery and analysis to your job site. DroneDeploy and Autodesk® have partnered to transform your construction site by bringing aerial imagery and drone surveying to your finger tips. DroneDeploy makes frequent scans of your construction site affordable and allows you to detect deviations from plans before they become expensive problems. 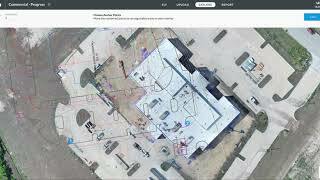 With this app, seamlessly connect Autodesk® BIM 360™ to DroneDeploy and overlay design files onto high resolution aerial maps and make accurate measurements that you can use to seamlessly compare design to reality. You can also export what you captured on DroneDeploy into BIM 360 for access with the Autodesk suite. With DroneDeploy and Autodesk, your jobsite has never been more productive and efficient. DroneDeploy is not supported on Internet Explorer (IE).